In this latest blog post, our Marketing Manager, Mark Housden, talks about his inspiring visit to a young man called Prince, who lives in Malawi, Southern Africa. As we approach International Day of People with Disabilities, I want to tell you about 16-year-old Prince, one of the toughest and most determined people I think am ever likely to meet. Prince is a remarkable young man and someone I could not help but admire for what he has achieved and for what (I believe) he is destined to achieve. 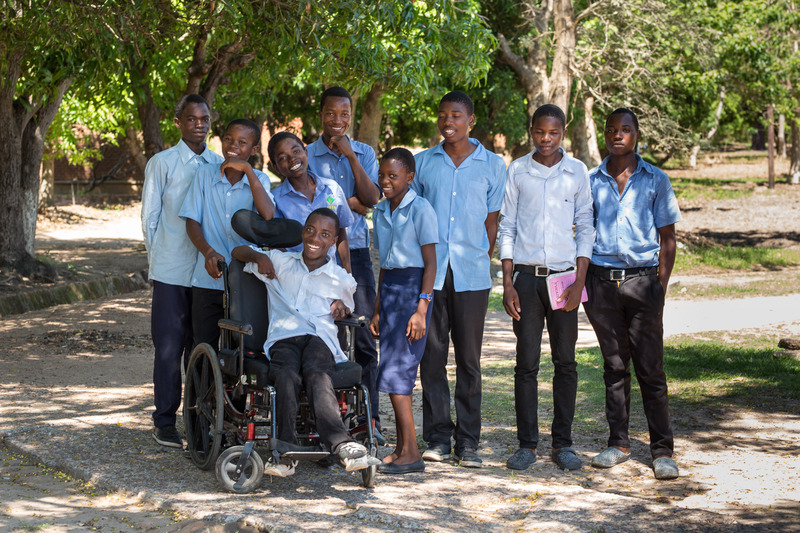 Prince was born with Cerebral Palsy in Malawi, Southern Africa, and has faced many barriers in his life, but the ambitious teenager I met has never let this stand in his way. When Prince’s father abandoned him and his mother on the day he was born, his mother – a loving, tenacious woman with a strong faith – believed in her heart that God had a plan for her son. And she was right. When Prince was old enough to go to school, he was initially rejected. The teacher thought he was “incapable”. Again, his mother knew differently, determinedly telling her son: “You deserve to go to school just like any other child”. She found a school that accepted him. And, when Prince was unable to travel to school and back because of his disability, his mother forged on and carried him on her back to and from that school, carrying her son for a total of six kilometres a day. As Prince grew older (and heavier), his mother knew there would come a time she would no longer be able to carry him, the only thing standing between success and failure wasn’t poverty or disability. He simply needed a wheelchair. Thanks to CBM supporters, this was made possible. Having a wheelchair means that CBM supporters continue to have a long-term impact on his life, and with the care of his mother, this support means that Prince is not held back. He can go to his classes, he can spend time with his friends, and he can go to church to worship God and give thanks for all the kindness shown to him. Prince told me that he wants to prove that he is worthy and capable, that disability does not mean inability. And of course, he wanted to make his mother proud. Prince is ambitious and continues to study hard to achieving excellent grades. In the future, he would like to become a bank manager so he can help people save money and improve their families’ lives. He has a purpose. Throughout his life Prince will be a blessing and inspiration to many. His mother is proud. 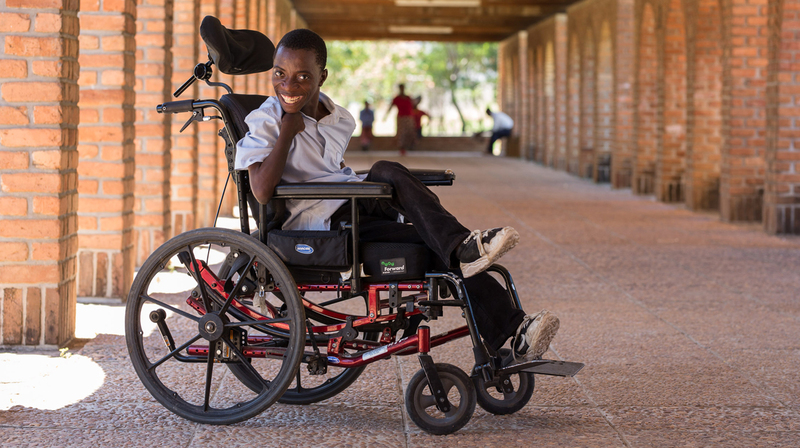 Images: Top - Thanks to CBM supporters, Prince has been provided with a wheelchair and can now travel to and from his school, in Malawi. Bottom - Prince smiling with his school friends.